‍Image:Bay of Islands Hospital Clinical team members and Broadway Health Kaikohe GP DrJustine Woodcock (left most in photo) liaising with intensive care specialists and a paediatrician at Whangarei Hospital via Zoom. The four Northern Region DHBs have started rolling out their new cloud-based telehealth service-and it is already proving its worth on the front lines of patient care. Northland DHB, Waitemata DHB, Auckland DHB and Counties Manukau Health have developed the new service in close collaboration with their clinical teams. Phillip Balmer, Counties Manukau Health Director of Hospital Services and Regional Telehealth Programme Sponsor, says telehealth is a vital cog in the DHBs’ goal of having a more joined-up region with improved access to healthcare and more equity. "The new service will help us realise our aim of seeing a more integrated health system in the Northern Region over the next decade," Mr Balmer said. Powering the region’s telehealth initiative Zoom Video Communications, a cloud-based enterprise video communications solution introduced in mid-2018. Zoom is being used by clinicians as a safe,secure and unified video, audio, content sharing and chat platform to help facilitate virtual patient care workflows, remote specialist visits, population health management and education and care coordination. “Our vision is that Telehealth, via Zoom,will be widely available for real-time consultations between hospital-based clinicians, primary care and community clinicians, and between patients and their team of care providers, whether in a hospital or community setting,” Mr Balmer added. The Northern DHBs’ shared IT service provider, health Alliance, has supported the clinically-led implementation of telehealth in partnership with Zoom’s New Zealand reseller, Connect NZ. Waitemata DHB CEO Dr Dale Bramley say the initiative will help meet the needs and expectations of a diverse and fast-growing population. “The smart use of technology enables our DHBs to work closely together in ways that did not once seem possible,” Dr Bramley says. Examples of Zoom in action in the region since its release have seen some excellent results. In July an unwell one-year-old patient from Kaikohe with severe respiratory distress was taken to Bay of Islands District Hospital by ambulance with the attending GP. Using the new regional telehealth service, the patient was assessed by Whangarei Hospital's Intensive Care Unit, paediatrician and Clinical Flight team for a possible helicopter transfer. 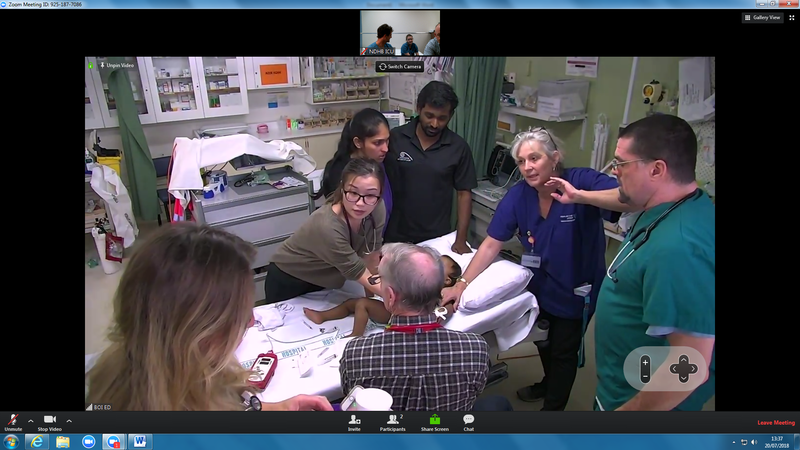 The teams from the different sites were able to stabilise the patient, with real-time coordination via telehealth contributing to the young patient having a successful outcome. This also mean tthat the ICU team was able to stand down the helicopter transfer, saving costs and keeping it available for other potential calls. Hospital and community-based clinical teams who have started using the new service’s secure instant messaging feature have also acknowledged its value in enhancing clinical and administrative communication. Papatoetoe GP and healthAlliance Chief Clinical Information Officer Dr Karl Cole said telehealth offers a flexible technology option to help solve healthcare problems in the region. "It’s great to see IT enabling the DHBs to provide a more joined-up way of providing clinical care, over coming location and boundary issues - it makes healthcare fairer and access to it more even,” Cole said. “The regional telehealth service is providing a reliable and secure communication tool to increase access to health services,improve the patient experience, and enhance collaboration and support for clinicians across the region. "Telehealth is convenient and potentially life-saving, particularly for people who live in remote locations or are unable to reach health services," Dr Cole said. Phillip Balmer said the next step is a progressive roll-out of telehealth and ensuring Zoom is included in patient service workflows across the region.